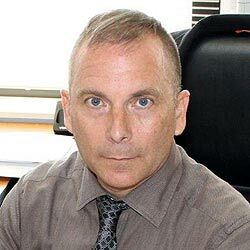 Dr. Vincent Richard Havrilko is a retired United States Air Force Master Sergeant with 22 years of active service and is currently serving as a Department of Defense Air Force civilian. He is the Vehicle Fleet Management and Analysis Manager at the 366th Logistics Readiness Squadron, Vehicle Management Flight, Mountain Home Air Force Base, Idaho. He has extensive experience in logistics, finance, supply, and transportation operations. Vincent earned a Bachelor of Science in Business Administration (Criminal Justice Concentration), Masters of Business Administration (Logistics Concentration), and a Ph.D. in Business Administration (Management and Organizations Concentration) from Trident University International, California. He is also employed as a part-time faculty member with Trident University and currently teaches MGT301: Principles of Management. Havrilko, V., Sun, Q., Yazdanparast A., & Guzman I. (2017). An empirical investigation of Internet addiction and repeat purchase intention: Moderating roles of intrinsic motivation, brand trust and risk aversion. Abstract presented at the 39th Annual ISMS Marketing Science Conference, June 7-10, Los Angeles, California. Dr. Havrilko’s areas of expertise include (a) undergraduate education, (b) military logistics operations, (c) transportation fleet manager, (d) supply and materiel management, (e) statistical analysis (SPSS, AMOS). Multifaceted and Highly Skilled Leadership Professional offering more than 20 years’ experience in both civilian and military work environments with expertise in financial management, business administration, and fiscal accountability, assessing all situations, analyzing information, and presenting proposals for action. Financial Management: Highly skilled in the coordination and management of financial activities, analyzing and preparing financial reports, watching performance indicators, and advising on expenditures to ensure achievement of financial goals. Performed formulation, justification, presentation, and execution of a $53M wing budget. Program Management and Analysis: Apply knowledge of analytical and evaluative methods as well as financial procedures to improve program effectiveness and cost control. Analyze operating expenses and funds allocation and maintain financial documents; processed documents to account for $12M in funds and $3.2M in travel orders. Leadership and Direction: Lead and motivate high-performance teams. Identify and mitigate risks, using time management and organizing skills to ensure efficient operations and program progress to meet goals. Provided leadership to a highly skilled team of 77 military and 24 civilian personnel across 15 separate work centers.